Established in 1982, STEMACO is a family company specialised in the supply of raw materials for the rubber industry. Financially independent with a wide international coverage, STEMACO has the ability to purchase large volumes of synthetic rubber to meet customers’ needs. STEMACO markets a broad portfolio of technical rubber products from leading international elastomer producers, for a wide range of industrial applications. 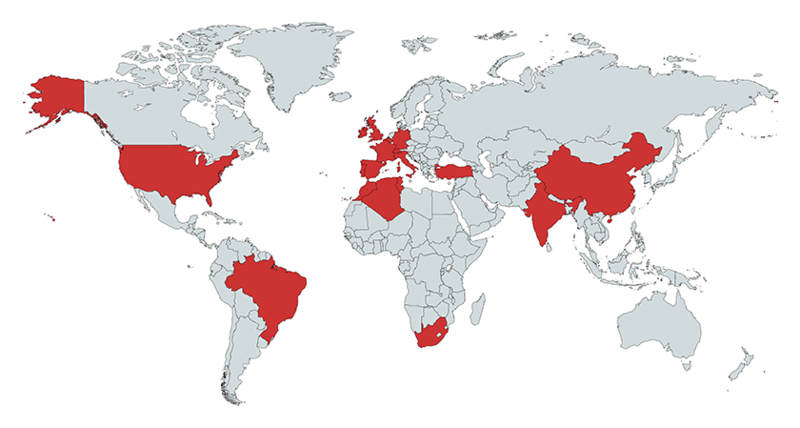 STEMACO is located in several key European markets, as well as countries throughout the world, and has warehouses in the United Kingdom, Belgium, Spain, Italy, the United States, India, and China to ensure the rapid shipment of products worldwide. STEMACO offers its customers a large portfolio of technical rubber products from leading international elastomer producers. As one of the leading synthetic rubber suppliers in the industry, STEMACO markets synthetic elastomers for many industrial applications. They are used as modifiers for plastic and adhesive raw materials, in Oil & Gas exploration and production, as well as in functional components for the automotive, railway, and cable industries. With significant storage capacity, one of STEMACO’s main assets in the international synthetic elastomer market is its ability to provide both the standard technical grades from the Prime Grade or Standard Quality producer specifications, as well as the decommissioned grades “Non-Prime Grade“or”Off-Specification“, which are cheaper alternatives. Thanks to its experience in rubber formulation for all types of industries, ELO remains at your disposal to guide or advise you in the development of your proprietary formulas or processes based on “Non-Prime Grade”.